Bradenton is one of Florida’s leading housing markets in terms of recovery, and Fairfield is one of the latest developments joining the rapid improvement of Southwest Florida real estate. Located in Manatee County west of I-75 on State Road 70, Fairfield is a gated community that consists of 140 maintenance-free paired villas ideal for busy professionals, seasonal residents, or those looking for a vacation-style lifestyle experience in sunny Florida. Fairfield is the latest development by Neal Communities, a very productive builder that calls Lakewood Ranch home. Neal Communities chose its Coral Series homes for the Fairfield villas. Home shoppers have two neoclassical Mediterranean-style floor plans to choose from: Crystal Sand and Tidewater, respectively built on 1,434 and 1,524 square feet of air-conditioned living space. Both floor plans feature two bedrooms, two bathrooms and two-car garages. Some of the paired villas at Fairfield enjoy waterfront lake views while others are tucked away behind lush landscaping. The initial home sites sold were priced in the high $100K’s. Aside from the maintenance-free convenience of the villas at Fairfield, residents will also enjoy a swimming pool, cabanas and a spa right within their community. Fairfield boasts one of the most convenient locations in Manatee County, just minutes away from I-75 and US 41, and surrounded by all suburban comforts in terms of shopping and entertainment. Fairfield residents have many opportunities for golf, tennis and nature exploration nearby. The white-sand beaches of the Sarasota Keys are just as short drive away. Families with school-age students are served by Tara Elementary, Sara Scott Harllee Middle and Braden River High Schools. 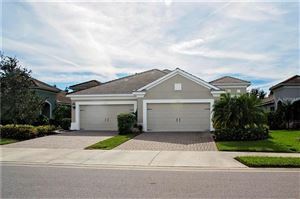 Please contact me about Fairfield Villas in Bradenton for more information. They are currently building in Fairfield and there are lots available. 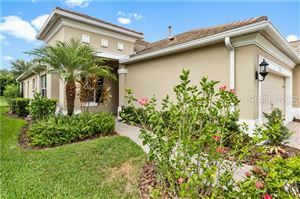 See all Fairfield Homes for Sale in Bradenton Florida.